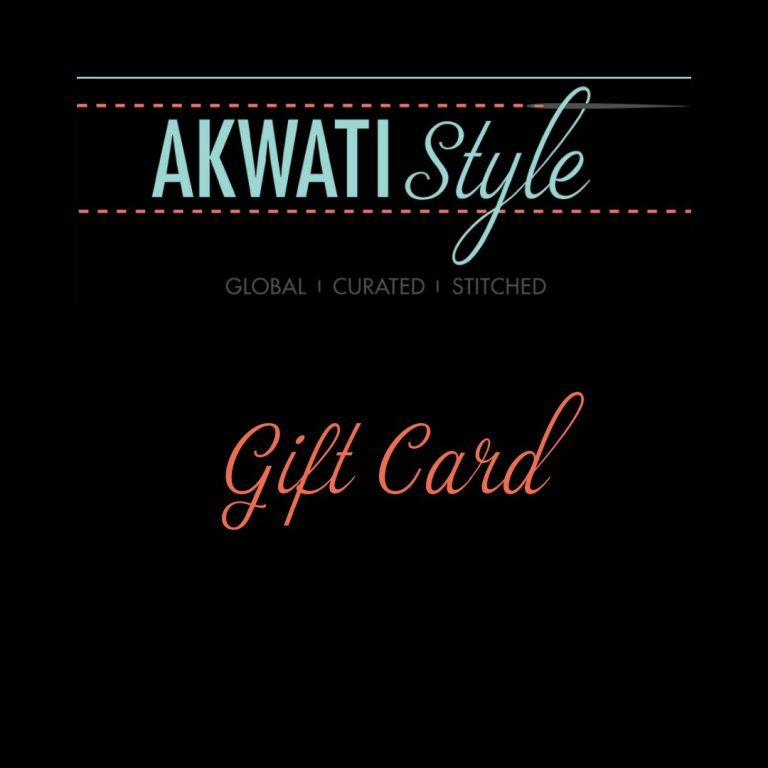 Give the gift of stylish Global | Curated | Stitched fashion! Akwati Style Gift Cards come in multiple denominations. Upon order completion, you will be provided with a gift card code via email.